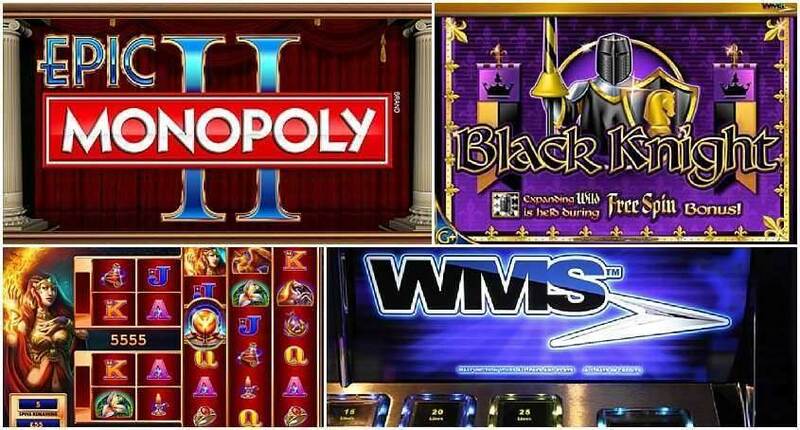 Williams Interactive, better known as WMS, is a major player in the world of online slots. WMS is the high-quality creator of innovative software that generates great online, mobile and tablet slots games. Based in Illinois, the company started out back in 1994 with the launch of Reel ‘Em In, the pioneering slots game featuring the first multi-line, multi-coin bonus feature. Click here to read more. WMS’s success with Reel ‘Em In inspired a number of other developers to follow its lead, which it maintained through the launch of additional popular slots including Boom, Jackpot Party and Filthy Rich. The firm continued to develop its capabilities and software development skills, leading to the launch of a series of participation slots from 2001 that used Monopoly as the primary theme for play. Going from strength to strength in the industry, WMS is now one of the largest creators of gaming software and equipment, with a number of high-profile brands to its name. WMS is best known for its creativity and quality when it comes to introducing new concepts to online gaming. Through its innovation, it has radically transformed gambling to make slots interactive, engaging and packed with features. Prior to WMS’s innovation, mechanical slots themes were pretty standardized, with the traditional fruit, card, bar and bell theme being deployed consistently across the majority of all reels. Reel ‘Em In brought a new dimension of play to the traditional style through its innovative bonus system and pay scales. Almost all of WMS’s revenue now comes from US customers, but the firm has expanded to occupy premises in Canada, China, Mexico, Spain, the Netherlands, the UK, Argentina and other countries. One of the key strengths of WMS is its ability to fully understand the evolving demographics of its players. Because slots were made available as video games, a generation of younger audiences began to take interest in them. WMS anticipated this trend and began to introduce a more challenging and interactive element to its games. Similarly, slots began to be enjoyed by an over-50 female audience, who were seeking a higher level of intellectual stimulation than old-style slots afforded. WMS catered for this through innovations introducing animation, colour, LCD display screens and surround sound to provide creative and aesthetic improvements to slots. WMS’s portfolio of products includes mechanical reels, video lottery terminals, interconnected slots and poker games. The firm launched online gaming in the UK for people aged 18 and above in 2010, further expanding its customer base. One year after this, WMS provided 18+ players in the US with online gaming. The firm went on to partner with Large Animal Games to launch the Facebook slot Lucky Cruise. To combat a brief decline in the popularity of slots in 2012, WMS started offering mobile device gaming and expanded its online market and products. The company remains one of the most innovative and successful online slots developers and a key to the evolution of online gaming globally.